Does anyone here have a favorite boat that they like to go on? I haven't done alot of boat fishing because I dont like all the people crammed together. Is there a better boat or way to not get that without all the expense? I could go out of longbeach I guess that is where most of them are? 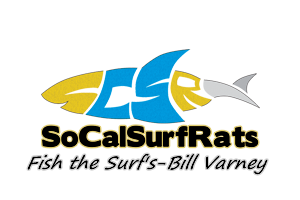 I would recommend making a little drive up north a little ways to Ventura (Ventura sport fishing).. I think less crowded in general up here. The boat we go on often is called 'island spirit'. Captain Greg is a great guy, puts you on the fish everytime! Www.Venturasportfishing.com good luck! If any one wants to twilite fish Daveys locker has a Email club special. With the coupon you go out for $20 on Friday or Saturdays in January. They are going for sculpin and sand bass. Did these the last 2 years and it is a cheep way to get on the water. I may go on Saturday, Vern. I've fished a couple few boats up and down the coast, some places are customer friendly, others are not, most fall somewhere inbetween, if you would like an exellent experience, a totally awsome crew, and probably the best quality of rockfish species alailable then I would suggest Stardust sportfishing in Santa-Barbara, its the best boat I've been on, for the guys who don't know how to, the crew is right there to help out, and for those of us who do, the crew is more like a bunch of buddies than some "deckhand" who has-to untangle ya or clean your fish ect. They REALLY have their act togeather!